Who's wishing for a PINK Christmas? Well Soap & Glory have got you covered with all there Christmas gift sets available in Boots. As I've previously told you guys I'm part of the #BabesofGlory club with Soap & Glory and they've been kind enough to send out some Xmas gifts to the Babes of Glory members. I received a box of goodies a couple of weeks ago and was so chuffed with the sets; some of them was on my Christmas list as well. Maybe I shall wrap them back up and put them under the tree. No matter what your budget S&G have a Christmas set for you... with gifts starting from £4.00 then ranging up to £60.00 and they also have an advent calendar filled with 24 treats so you can start your pink Christmas early and celebrate with a new treat everyday right up to Christmas day. 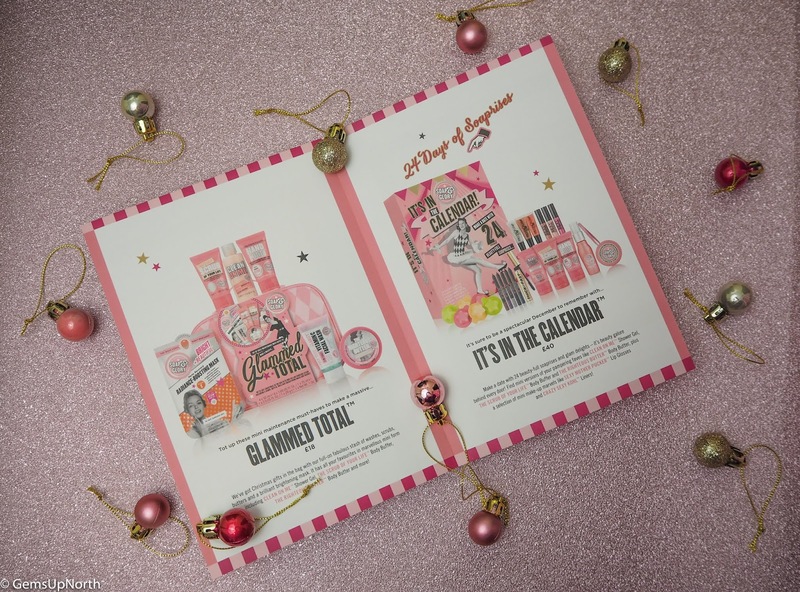 Of course the Soap & Glory gifts are included in Boots 3 for 2 offer which makes them even easier to pick up and give the gift of pink treats this Xmas. 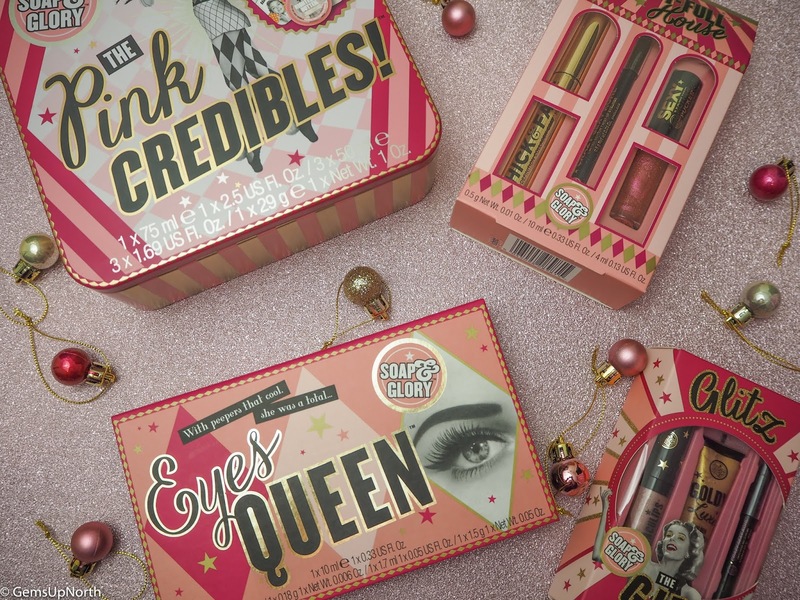 Included in my gifts from Soap & Glory were 4 sets, 3 of which were make up sets that have some of my favourite items inside including this Eyes Queen* set; inside is 4 makeup products for eyes and I can create my favourite look of winged liner, strong brows and long lashes with this set. Inside the lid of this set is also a makeup tutorial and tips so it will go down as a really nice gift for someone that's newer to makeup or wanting to change up their look this season. 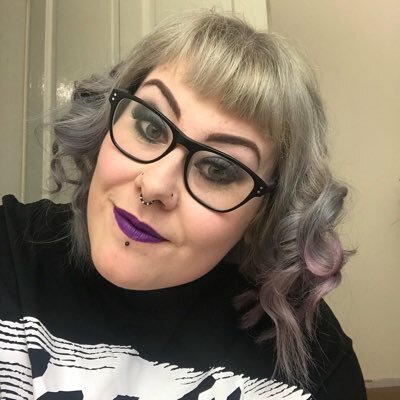 Sticking with the makeup theme I received two smaller sets which will make perfect stocking filler gifts because of there size, I think they'd be great for presents for your friends this Christmas. 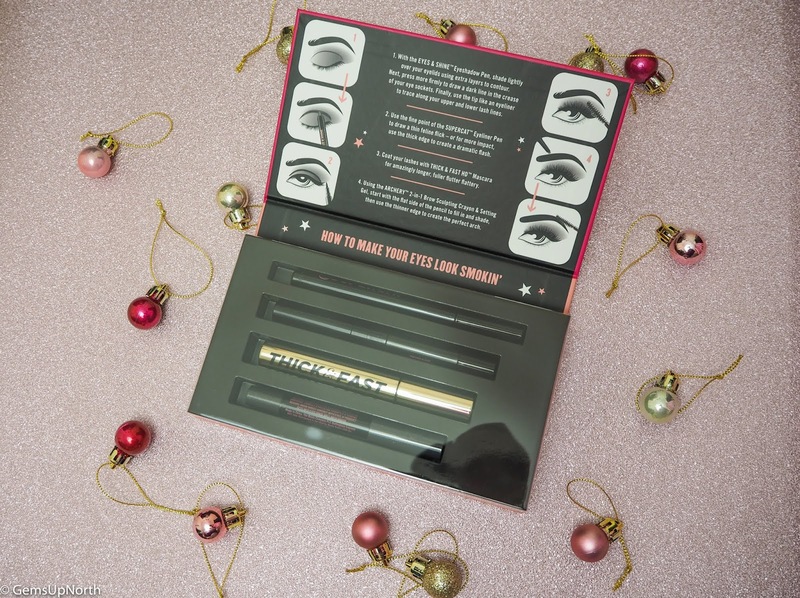 The Beauty-full house* set has 3 products inside and again you can create a full look with the items; mascara, liner and lipgloss can create a 'no makeup' look but with a hint of glitter with the lipgloss. The play on words of the Soap & Glory's sets are wonderful as well, I love how they come up with these names for their products and gift sets. Included in the Glitz The Girl* set were 3 mini items; Kohl black liner, metallic lip cream and face glitter gel, what more could you need for a festive look! This is the smallest set so I could definitely pop this in my gal-pals Christmas box amongst some other lovely bits. The final set in my pink gifts was the Pink Credibles* tin set which includes 5 items that I think are great for travelling so for your friend that's always on holiday this would make the cutest gift. Inside were 4 mini skin care products; Hand Food, Scrub of your Life, Righteous Butter and Clean on Me as well as a full size Radiance boosting facemask. The tin the gift comes in is as cute as the mini products and they come wrapped in Soap & Glory tissue paper. Plus the tin is reusable so its technically an extra gift! 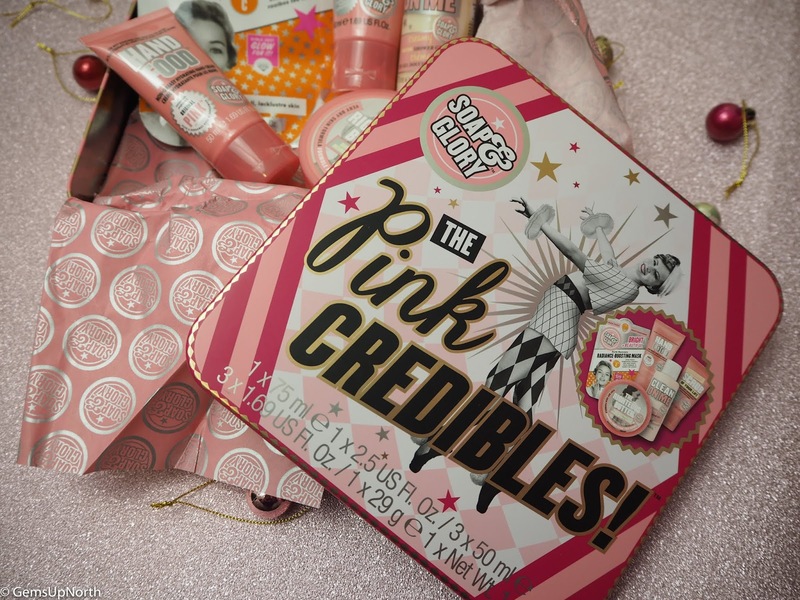 Which Soap & Glory gift sets will you be picking up this Christmas?